Due to the death of Thailand’s King Bhumibol Adulyadej last week, the country’s activities have slowed down and it is expected to impact the forthcoming game between both sides. Thailand’s third round qualifying campaign for the 2018 World Cup against Australia on November 15th is set to be shifted to a new venue. The game was originally slated for the Bangkok Rajamangala Stadium but is set to be moved to Singapore due to the government’s urge that entertainment activities be set apart for 30 days as part of a mourning period for the late king. 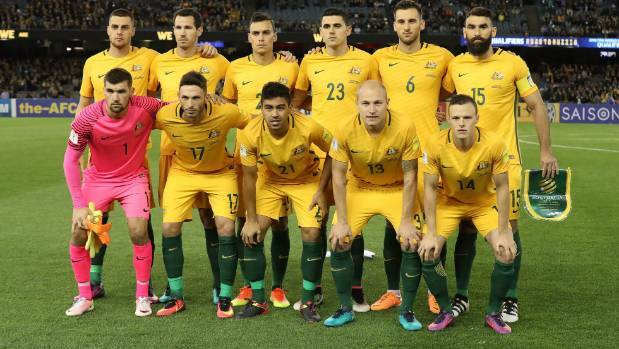 The Football Association of Thailand (FAT) proposed that the Australia clash be moved to a new venue or switching it to an away affair due to the one-year mourning period for the late king. The FAT has approached the Singapore Sports Hub. England vs. Germany Masters football game is slated for November 12 at the National Stadium in Singapore, but the Sports Hub have confirmed that the stadium can be ready despite the short three-day turn around period required. France and Juventus midfielder might be open to a Manchester United return. Indeed the former Manchester United player has labeled his first club as his first family. So far the player has not agreed on a new contract with Juventus, and many believe that he is just waiting what clubs are interested in signing him. Paul Pogba has been magnificent last season when he helped Juventus clinched yet another title. Pundits were expecting more from him at the Euros, but the player failed to impress for France on the big stage. However, it is believed that Manchester United is still interested in the player and might be prepared to pay a big amount to secure the midfielder signing. Indeed Jose Mourinho is believed to have asked his board to get him the player. He considers Pogba as a good player and someone that can help strengthen his midfield. It is believed that Manchester United may make a serious bid in the days to come to test Juventus resolve. Alexandre Pato is playing for Sao Paulo on a loan deal which extends until 2015 but the Brazilian club is rumored to be attempting to keep the 25 year old player on a permanent deal. Corinthians is the club where Pato will be returning to at the end of the season but things could change if Sao Paulo is truly interested in keeping him. The Brazilian attacker has scored 6 goals in 9 appearances for Sao Paulo for this season as he started this year in superb fashion after managing to score twice when his club played against Audax. Pato also managed to secure a hat-trick when Sao Paulo faced off with Capivariano. So far, it has been a very impressive start of the year for AlexandrePato and this is one of the main reasons on why Sao Paulo is expected to sign the player with an extended contract. Pato recently has even been attracting the attention from England as Everton and Hull City are reportedly interested in signing the Brazilian forward on a loan deal. The Premier League side Everton is in search of a player that can replace Samuel Eto’o and AlexandrePato popped up in the watch-list of Roberto Martinez. The main issue that emerged in attempting to sign the Brazilian forward was his high wages as he earns around £60,000 each week and this salary might just be too steep for Hull City or Everton. The first and only major European club that AlexandrePato joined was Ac.Milan back in 2007 when the Italian club signed Pato when he was just 17 years old and the club even had to wait for almost a year before they could utilize him in official Serie A matches. Hull City received a huge blow when playing against Arsenal on October 18 and even though the game concluded on a 2-2 draw, Hull City lost 2 of their most influential figures as Michael Dawson and Nikica Jelavic picked up injuries that would leave them out for around 6 weeks of playing time. Nikica Jelavic sustained the injury during his warm up before the match of Hull City against Arsenal had even begun and the Croatian attacker was unable to play. Michael Dawson on the other hand had to be removed from the pitch in the 2nd half of the match after suffering from an ankle injury. “I love playing, which is why the ankle injury is so frustrating. Hopefully, it won’t be too bad. I am loving my time and this is a great club with great lads and a great gaffer. You can’t ask for a lot more than that. We also have a good team striving to be successful.” Hull City’s Michael Dawson said. Having secured 1 point against a team that is located in the top spots of the Premier League is a good result for Hull City but losing 2 of their main players, it was a huge blow that the team of Steve Bruce had to endure. These injuries were sustained at a moment when Hull City and Steve Bruce was going to need to have his entire squad at full force and healthy as they would later have to face off against Liverpool and Southampton which are some of the top clubs in the English League. Hull City did manage however to grab 1 point when playing against Liverpool as the match ended in a goal-less tie which is a good result for team of Steve Bruce taking into consideration that the squad was playing without some of their main figures and still managed to secure a point against Liverpool.